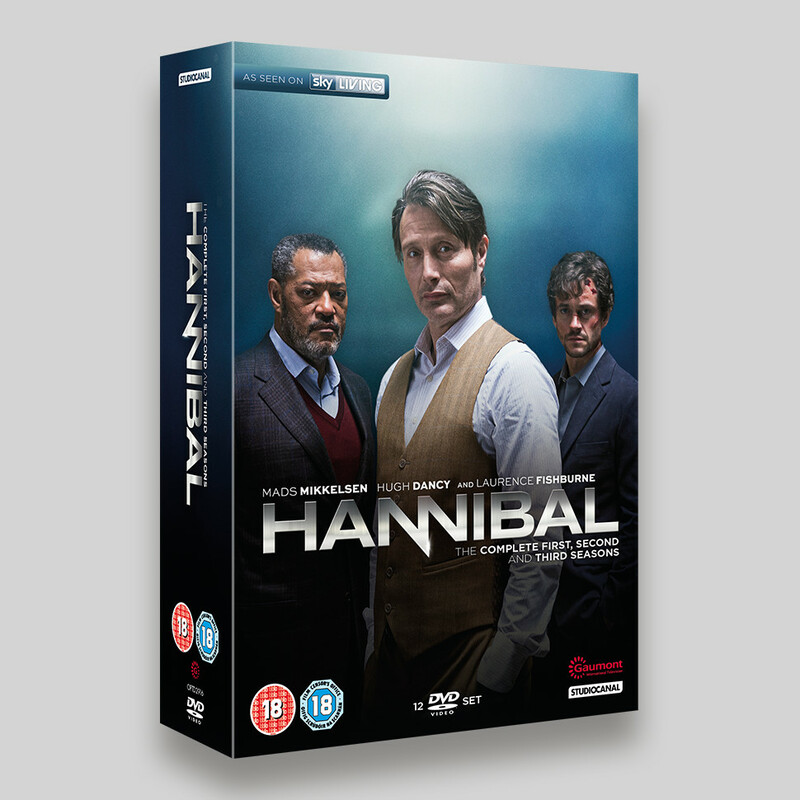 Hot on the heels of Season 3 (well, done at the same time actually), came the Season 1-3 boxset. 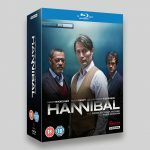 Featuring all the usual suspects, the challenge for Hannibal Season 1-3 boxset was to use some new imagery, or treat something existing in a new way. 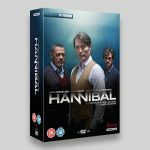 The original images from the first season had been used on a number of bit of packaging already as well as promotional items, there were new shots with Gillian Anderson and Mads, but there were quite close to Season 3. This meant a new image was to be used, but try to make it work in context of the other titles. The cast need to be cut out from the background and their lighting was altered to reflect the new background and ambient lighting. Will on the right was a little out of focus and was sharpened up as best he could. 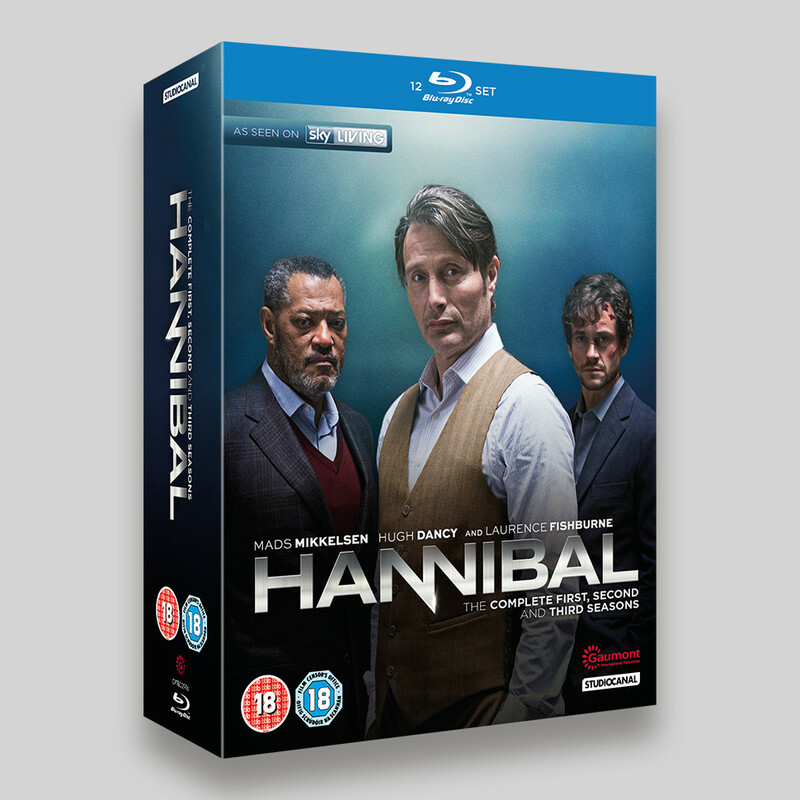 In the end I think the image works well, personally I preferred some of the red background images supplied in the visuals, but understand that it needed to be different to the Season 3 standalone packaging.